A spinout from Cambridge University, Azuri Technologies is an innovative commercial provider of pay-as- you-go (“PayGo”) solar home systems to rural off-grid households. The company has one of the widest geographical reach of any solar-as- a-service offering in Sub Saharan Africa, and addresses the problem of energy access that affects over 600 million people who lack access to the grid across the continent. 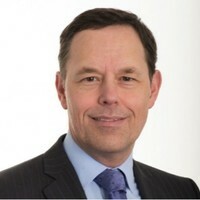 Simon Bransfield-Garth is CEO and has 30 years global experience building rapid growth, technology-based businesses in sectors including Semiconductor, Automotive and Mobile Phones. Simon is also founder of Myriad Solutions Ltd, and was previously a Fellow at Cambridge University. He holds a BA and Ph.D in Engineering from St John’s College, Cambridge UK.